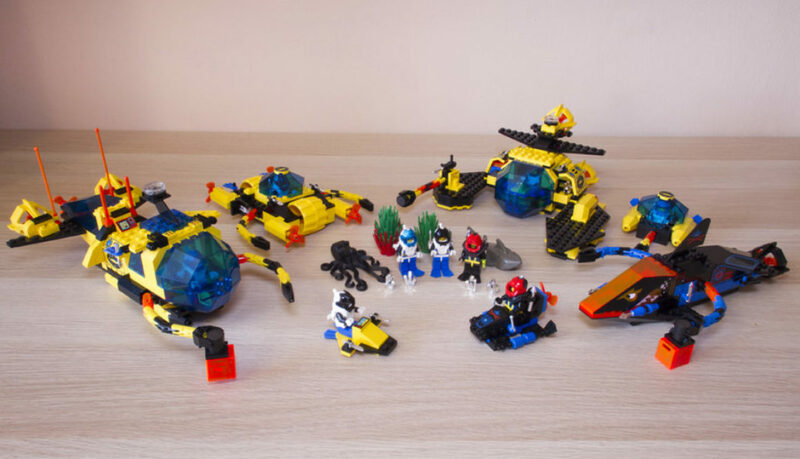 The LEGO System originaly had only three major themes: Town, Castle and Space. All of them have special place in the childhood memories of today’s AFOLS. It was their starting point, their first sets. Especially the Classis Space has a very stong fanbase to this day. I wasn´t even born in 1978, when the themes were introduced. But it was a pure pleasure for me to go through the old catalogues as a kid and discover the old sets. What I really like about the old catalogues are the dioramas – all the sets presented in the (mostly) real enviroments. Nowadays everything is done digitally and this handmade magic is gone. Only some bold MOC designers like Pixel Fox are keeping this art alive.